The EU-funded FORESEA programme has approved funding for six developers of offshore renewable energy technologies to deploy technologies at the SmartBay Marine and Renewable Energy Test Site. The announcement marks a new phase in ocean energy development in Ireland, with more technologies than ever planning to hit the water in the coming 2 years. A final award of support is secured by the developer upon contract with the test centre. The announcement follows the granting of a foreshore license to the SmartBay Test Site in December 2017 by Irish Minister of State at the Department of Housing, Planning and Local Government, Damien English. “Today’s announcement marks the beginning of a new phase for the development of sustainable low carbon technologies in Ireland, with a significant increase in the planned testing of a range of promising devices in the SmartBay Test Site. “With an estimated 100GW of ocean energy capacity deployable in Europe alone, the potential economic and environmental benefits to be gained from our oceans are significant. 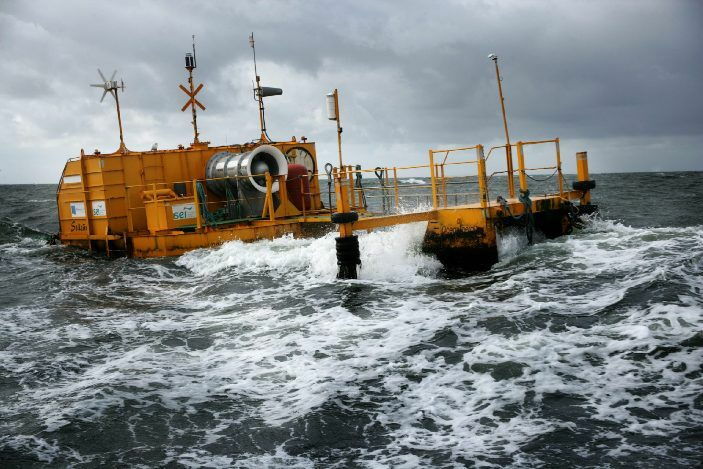 Marine PowerSystems is developing its wave energy technology, the WaveSub, to generate clean, reliable and affordable electricity from this vast renewable energy source.